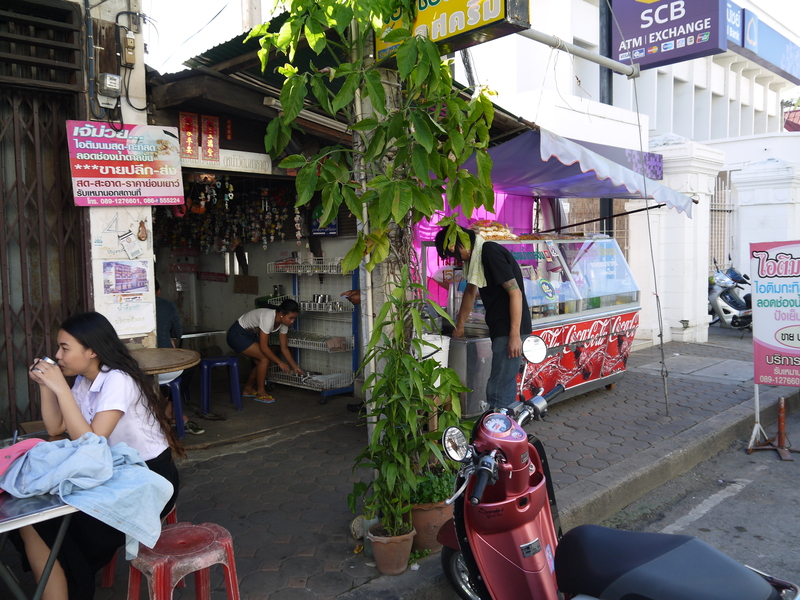 While in Phetchaburi last weekend, wandering the streets in the mid afternoon we stumbled across a small shop that was suspiciously full in the local heat. Sure enough, on looking closer it was selling ice cream. 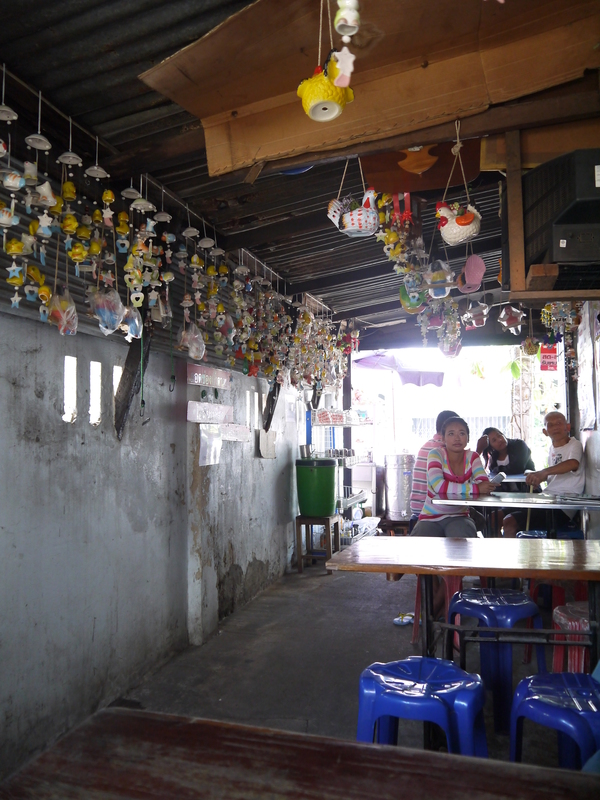 Small roaming carts selling Itim Khanom Pang (essentially, an ice cream sandwich) are a common sight in Bangkok and across Thailand, but this store was clearly a local favourite with a kind of cafe-style atmosphere that you don’t often get in Thailand. Here you can order you ice cream by the bowl or in a bun. They have a selection of toppings/fillings including sweet sticky rice, chunks of coconut, pandan noodles and much more. 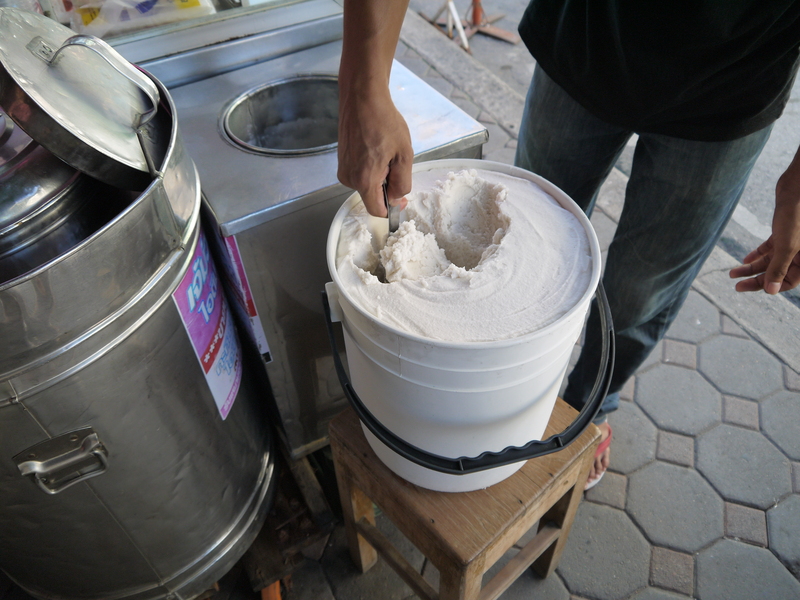 No Ice Cream in Thailand would be complete without sticky rice and toasted peanuts, adding delicious textured to an awesome treat. One of the nice things about being in a small town in Thailand is that the people just seem to be a different kind of friendly. They are really approachable, want to talk and are interested in you. 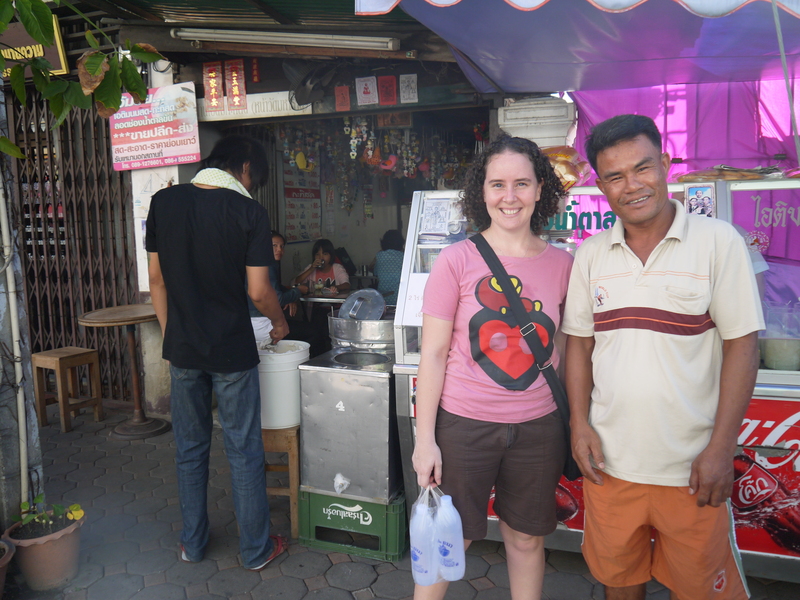 The owner of the ice cream shop was happy we liked his ice cream and wanted us to take pictures, even one with him.